Tradition: sweet vanilla and balsamic notes evocative of the Far East. In the 19th century, Auguste Ponsot noticed on a trip to Armenia the local people scent and disinfect their homes by burning benzoin. 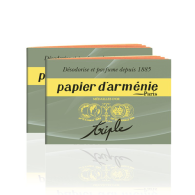 He used this practice to create the Papier d’Arménie in France. Today the company is run by the great-grand'daughter of Auguste Ponsot. 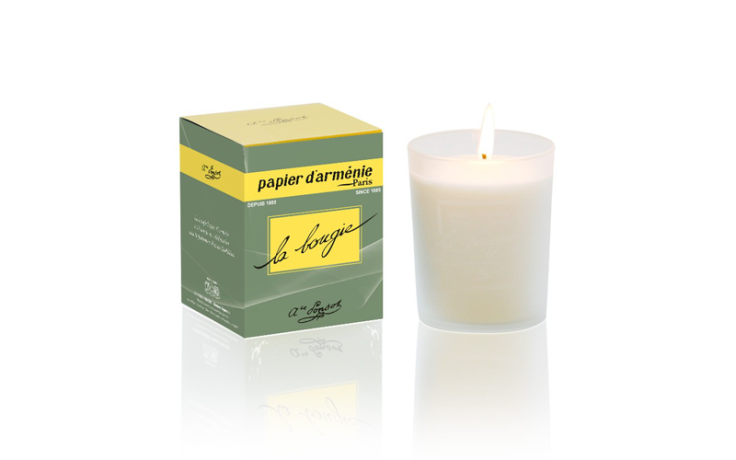 Unique since the day it was first sold, Papier d'Arménie is instantly recognisable. 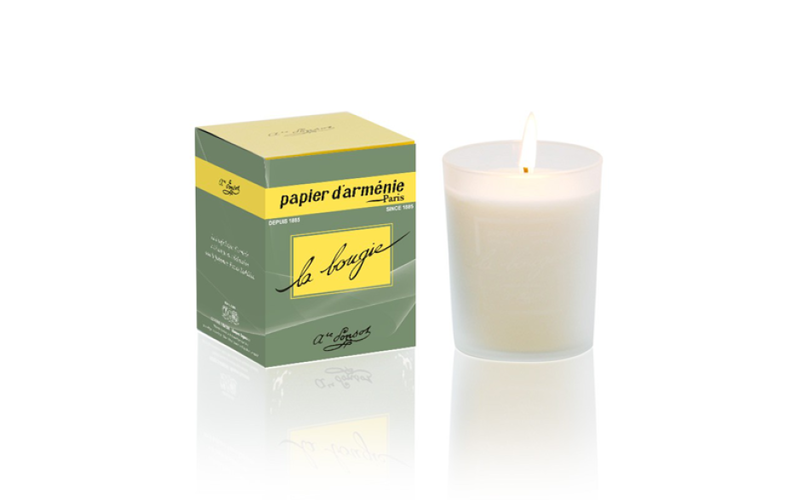 It is the only indoor fragrance that comes in the form of paper for burning. The benzoin used on the paper is renowned since ancient times for its anti-sceptic, healing and expectorant properties.